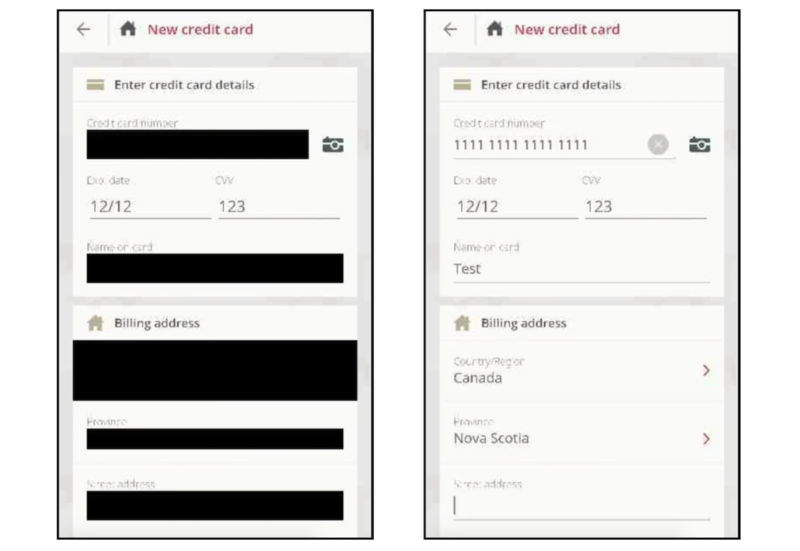 The App Analyst, a mobile expert who writes about his analyses of popular apps on his eponymous blog, recently found Air Canada’s iPhone app wasn’t properly masking out the session replays when they were sent, exposing passport numbers and credit card data in each replay session. Just weeks earlier, Air Canada said its app had a data breach, exposing 20,000 profiles. Not every app was leaking masked data, none of the apps we examined said they were recording a user’s screen — let alone sending them back to each company or directly to Glassbox’s cloud. The App Analyst said that while Hollister and Abercrombie & Fitch sent their session replays to Glassbox, others like Expedia and Hotels.com opted to capture and end session replay data back to a server on their own domain. He said that the data was “mostly obfuscated,” but did see in some cases email addresses and postal codes. The researcher said Singapore Airlines also collected session replay data but sent back to Glassbox’s cloud. We asked all of the companies to point us to exactly where in its privacy policies that permit each app to capture what a user does on their phone phone. “Glassbox has a unique capability to reconstruct the mobile application view in a visual format, which is another view of analytics, Glassbox SDK can interact with our customers native app only and technically cannot break the boundary of the app,” the spokesperson said, such as when the system keyboard covers part of the native app/ “Glassbox does not have access to it,” the spokesperson said. It’s not an industry that’s like to go away any time soon — companies rely on this kind of session replay data to understand why things break, which can be costly in high-revenue situations.